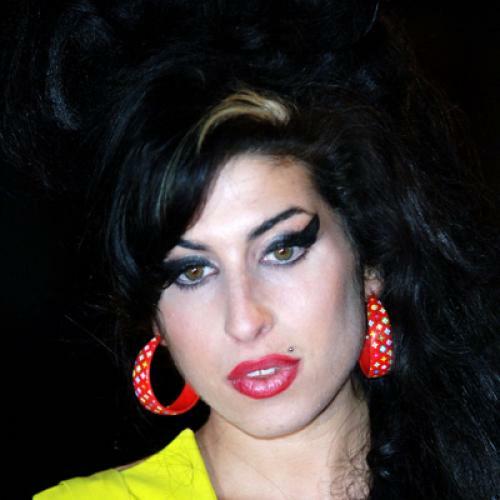 To the surprise of no one with the slightest sense of irony, singer Amy Winehouse, who earned a spot on iPods everywhere for saying no, no, no to rehab, died last weekend of an apparent overdose. Earlier this year, two other (less famous) celebrities, alumni of Dr. Drew Pinsky’s “Celebrity Rehab,” also died unsurprisingly from presumed overdoses: Mike Starr and Jeff Conway. Starr, formerly of the band Alice in Chains, had at one point achieved six months clean—an eternity in sobriety; but, then, it’s an insidious thing, this disease. And, lately, so is the response to it. Really? Not: Why is it so easy to score drugs? Not: Why do we put addicts in jail for minor possession instead of rehab? Not: Why aren’t we doing anything about a disease that costs the United States alone more than $400 billion a year? No, no, no. We should be asking, Why artists?—as though artists have a unique monopoly on addiction. According to Bouley, “being an artist hurts,” and he knows: He surrounds himself with “many very, very famous” artists. I don’t surround myself with many very, very famous artists (I live in D.C.), but I do surround myself with addicts. And, it turns out, they are pretty easy to come by in just about every profession. Heck, I can’t walk near Capitol Hill without bumping into a dozen addicted lawyers. So, for once and for all, let’s give the lie to this silly notion that artists must suffer for their work via drugs and alcohol. Or that artists are so innately tortured that they must use drugs and alcohol to tolerate the injustices of the world (especially if they are rich and very, very famous). Or that creativity is solely derived from this artist-addict round-robin. “If Jim Morrison was sent to a 30-day program with Dr. Drew, would he have lasted, and if so, would he have created the same music?” wonders Bouley—in a wildly discordant epic pop-culture sophistry—as if Morrision’s music were worth losing his life over. Why doesn’t anyone ever wonder if his art—or Janice Joplin’s or Jimi Hendrix’s or Kurt Cobain’s or Heath Ledger’s or John Belushi’s—would have actually become even better with sobriety? Because, for every died-too-young artist, I can name ten got-it-together artists who went on to do even greater things in recovery: Robert Downey Jr., James Hetfield, Johnny Cash, Mickey Rourke, Betty Ford, Stephen King, Rob Lowe, Stevie Nicks, Craig Fergusen, Steven Tyler, Russell Brand, Ewan MacGregor, Robin Williams … I could go on. I bet they are all glad they didn’t die young for their art. And guess what? Once you get sober—surprise!—pain still exists. You need not plumb the abyss of a heroin addiction to experience soul-sucking distress for the sake of art. Life happens, folks, and it’s not a guaranteed perfect ride. This notion that art must be accompanied by addiction is not just insidious; it’s enabling. I think Mike Starr knew that; I think he knew his creativity, talent, and motivation would only come back if he went a different way, if he got sober. While Charlie Sheen willingly plays addicted jester to our wicked delight (I myself feasted on the ignobility of Sheen around the water-cooler at work only to feel like scum immediately afterward) and Winehouse dies and will be lionized, Starr did the hard work of attempting to bridge the insurmountable chasm between the way things started and the way they ended up. Not all artists will, like Amy Winehouse, become enshrined as the young, sad, beautiful victims of art, fame, depression, and drugs—martyrs to their craft, like Bouley would have them. Chris Norris got it right when he wrote in New York Magazine’s Vulture blog: “[A]s Mike Starr has shown, the reality behind this reality narrative is usually a much longer, downward arc, with few twists and turns, and a very predictable ending.” In other words, we who use to excess are all just addicts. Not artist addicts. Not special addicts. Not entitled-to-use addicts. Indeed, even very, very famous addicts are just plain-old addicts. So let’s stop giving them a creativity pass. Sacha Z. Scoblic is a contributing editor for The New Republic and author of the new book Unwasted: My Lush Sobriety.